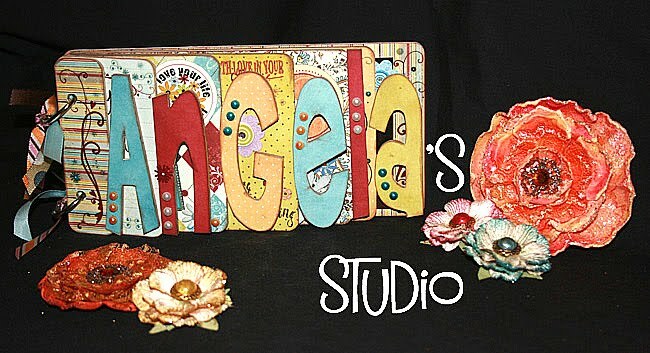 I have been holding on to a secret for over a year...... now I can not only tell you but I can show you my secret! 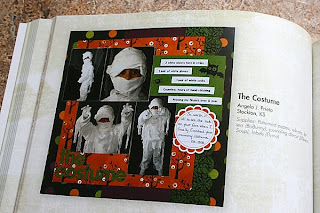 I have been published in the new Memory Makers book called The Big Book Of Scrapbook Pages! I have three layouts in this book and I am so excited!!!! 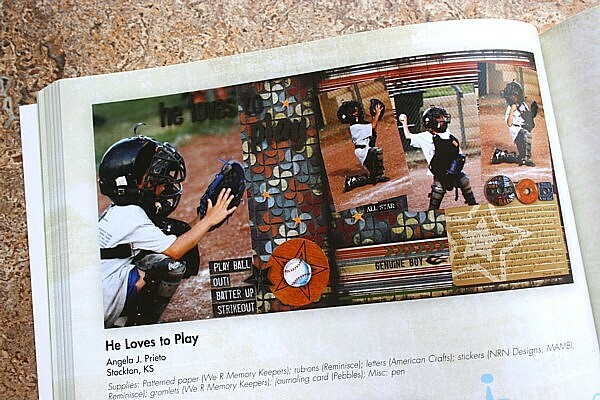 My first layout, He Loves To Play is on page 90. 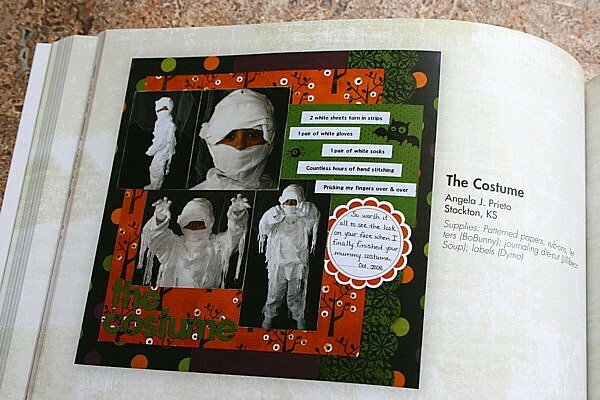 My second layout, The Costume is on page 128. And my third layout, Loving Baby Ty is on page 241. This is really a great book and there are so many beautiful layouts in this book. A huge congratulations to a very talented scrapper! This is such good news!! A big congrats to you! The pages look fantastic!